The set includes professional, high quality illustrations featuring chalkboard look. They are saved in .png (for the illustrations and .jpg format for the patterns. 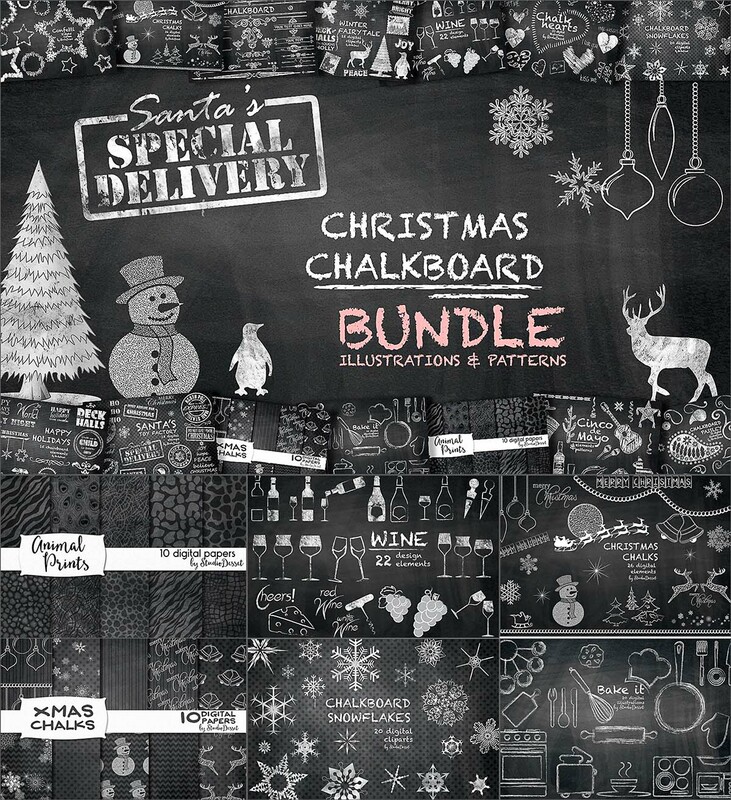 With more than 250 Christmas elements this Christmas BUNDLE of illustrations and patterns is ready to add some chalkboard style to your design project – perfect to style your Christmas invitations, greeting cards, posters, blogs, DIY projects and a lot more. File format: .png, .pdf for Photoshop or other software. 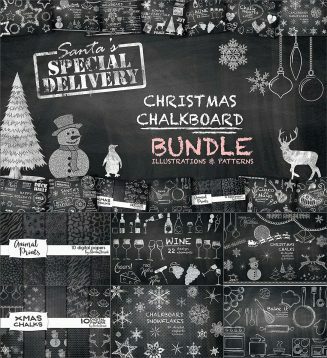 Tags: animal, bakery, chalk, chalkboard, Christmas, cinco de mayo, clipart, deer, heart, snowflake, text divider, toy, wine.